Most of these pictures are of the Wonderland Arcade in Kansas City in December of 1943. The US was deeply involved in World War II by this time, which is why you see so many soldiers in the pics, either on-leave or about to be deployed. 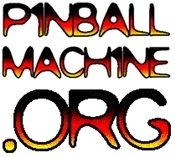 Most of the games were not new, since pinball manufacturing resources were put to work for the war effort. To read the original LIFE article, click here.